On a Monday morning, after the operational meetings, my boss walks into our cubicle and drops a pile of paper work, including some old well data, on my desk. He asks me to start working on getting a sidetrack drilled using coiled tubing drilling (the conventional rigs were too busy, so we needed to drill the sidetrack with coiled tubing). As he turns to leave, he tells me the well needs to be drilled underbalanced because the production guys have heard that using underbalanced drilling, significantly increases production. From reading through the well file, I know the donor well is a deviated well on an existing manned production platform. This well is to be sidetracked from a depleted and watered out oil producer and the sidetrack is to be drilled into an undrained section of the reservoir. The target location is partially isolated by faults and is expected to have a higher reservoir pressure. The existing well completion has already been removed and the original perforations are isolated with cement and a bridge plug. So now what? Here, I will outline the key operational considerations that I used when planning this offshore UBCTD campaign. I hope that others will find this useful when planning their own UBCTD projects. The first thing to get right is to establish the well objectives, and understand what the reservoir, geology, geoscience and production teams are expecting. This particular well is an oil producer and the intervention is expected to enhance production from the field. I needed to make sure that all the evaluation requirements such as logging, sampling of fluids, testing and formation samples were clear and well documented. I also needed to obtain detailed descriptions of the proposed new completion and how the completion was to be installed. The completion requirements should provide the first indication of the reservoir fluids and flow rates that the reservoir team have estimated. These factors are critical for underbalanced drilling. 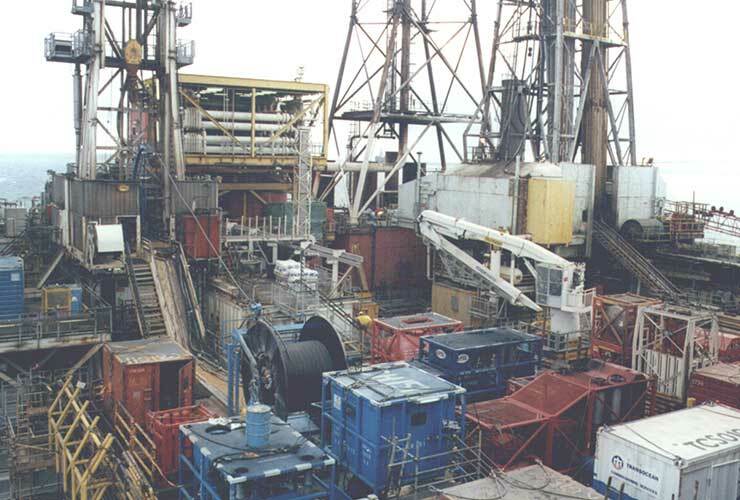 At the time, the maximum hole size which could generally be drilled with coiled tubing was up to 6-1/8” hole, but the more usual hole size for offshore drilling is 4-3/4”. Make sure the hole size is reflected in the completion requirements. You need to obtain as much information as you can from the reservoir engineers about the pressures and the fluids. The first things to document are the reservoir pressures and temperatures. It’s important to note here that reported pressure values must always need be verified, as it is critical in underbalanced drilling for these values to be known at the start of the project. The ability to adjust wellbore pressures when drilling underbalanced is limited, and the UBD design needs to ensure the well is indeed underbalanced once it hits the target. If exact pressures are not known, this needs to be reflected in the project risks. Gather all available data on the reservoir fluids, specifically oil gravity, oil viscosity, gas ratios, gas composition and water production. Production engineers should provide answers to issues such as scale formation, emulsions and sand or solids production. The productivity index from the wells (production flow rate versus wellbore pressure and reservoir pressure) provides valuable data for estimating potential flow rates when drilling underbalanced, so make sure you have this information as well as the skin factor currently calculated for the existing wells. Finally, understand where the gas/oil and oil/water contacts are. Drilling a prolific gas cap when you are expecting an oil well can be problematic for a UBD operation. Hitting the water leg can also be a challenge as the system is designed to deal with hydrocarbons and water significantly changes pressures in the well. Exact locations and vertical depths are required for all targets of the planned well. Make sure reference depths are related to a known depth datum. Datums can be the Mean Sea Level, swab valve, master valve on the Xmas tree or platform main deck level or even the original rotary table level from when the donor well was first drilled. You are drilling a sidetrack, so ensure depths are all correlated to a single point. As you can imagine, drilling a sidetrack and finding out the reservoir is 120ft deeper than where you are drilling would be a project disaster, so avoid this by ensuring the wellhead and target locations are using the same map geodetic references for the targets. Now that you have your G&G data and targets, it’s time to design a trajectory from the donor well to the new reservoir targets. When drilling with coiled tubing, the possible horizontal departure and reach can be significantly less than when compared to conventional rotary drilling operations. Depending on the depth of the sidetrack and the length of the well, this will be an important part of the design to be reviewed and calculated. Drilling with coiled tubing will allow bigger doglegs, so for a 4-3/4” hole you can accommodate doglegs as high as 5°/100 ft in the well. However, be aware of those completion requirements and associated directional constraints, especially if a completion is to be run after the well has reached TD. With our pressure values and trajectory defined, we can now determine if it is possible to safely drill the sidetrack from the low pressure (depleted) donor well into a possibly higher pressured section of the target reservoir, without isolating the formations. Although pressures can be managed to some extent when drilling underbalanced, once the bit is pulled back into the casing and the well is shut in at surface there should be no cross flow (a nice word for underground blowout) between the various reservoir sections. If an additional liner is required to isolate the lower pressured depleted reservoir section, it is likely that a conventional rig will be required to install it. This does not eliminate coiled tubing drilling, it simply means more pre-work is required using a conventional rig, prior to the coiled tubing drilling operation commencing. Formation stability and pore pressures along the wellbore and possible loss zones all need to be identified. Shale formations can collapse when drilling with low wellbore pressures, and wellbore stability is a key factor for underbalanced well design. Ideally, the casing shoe should be set inside the target reservoir. This casing will isolate any weak shale formations as well as isolating depleted reservoir zones. But in any case, it’s important to be aware that there is always a possibility that weak shales are encountered in the reservoir.